A Wenger watch can be opened with specialized tools, or household objects. Wenger is a company name synonymous with quality and precision. Wenger's Swiss military watch is designed for performance and reliability. The company suggests leaving battery replacements of its watches to professionals, but with some specific knowledge and tools, you can change the battery in a Wenger Swiss military watch. A watch case tool or case wrench is ideal, but with care and focus, you can use pliers, a drawings compass, or even the right thumbtacks to open the watch case back and change the battery. Lay the Wegner Swiss watch face down on a protected, sturdy surface. Rubber mats work best for eliminating slippage while working. If you use a clean cloth to support the watch’s glass face, keep your hands on the watch’s case during the opening process to avoid scratching the outer case or damaging any delicate internal components. Open the watch’s case back. Wenger watches have notches around the rims of their case backs. Adjust the diameter of the watch case tool or case wrench so that it fits tightly into two or three of these notches. Turn the tool so that the case back unscrews counter-clockwise. Open the case back using household tools. 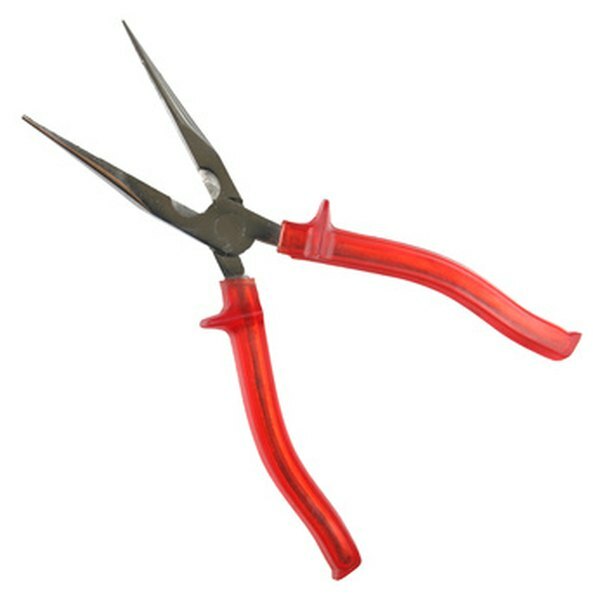 You can use a pair of needle-nose pliers that fit the diameter and size of the notches. Once inserted, press down firmly and turn counter-clockwise. An adjustable drawing compass can be used to fit the notches as well. Adjust the compass arms and place them into the notches. Spin the compass to remove the case back. You can use the type of thumbtacks that have plastic handles to open the watch. Place two tacks in two of the notches and have a second person hold the watch while you unscrew the case back. Lay the case back and inner gasket aside. Use the plastic or non-metallic tweezers to gently remove the small, circular battery. Place the watch face down on the mat or cloth and insert the replacement battery. Be sure not to touch any parts surrounding the battery holder and make sure the battery is facing in the same direction as the old one. Insert the watch gasket. Check the condition of the old gasket. If the gasket is old or worn out, replace it with a new gasket of the same size. Before inserting the gasket, rub a small amount of silicon grease over the gasket’s rubber surface. Lay the gasket around the rim of the open watch back. Place the case back over the open watch. Use the tool that you used to open the watch to screw the case back into place. With the tool in the case back notches, turn clockwise until the case back is tightly fitted to the watch. Press down on the tools firmly and evenly when unscrewing the case back. Slippage of the tools will scratch the watch and can ruin the shape of the notches. 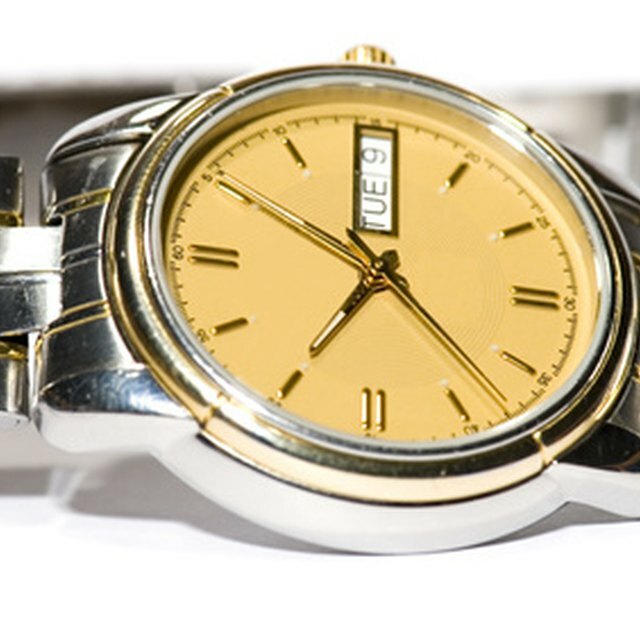 While the case back is removed, do not allow dirt or dust to enter the watch components. Self re-installation of watch gaskets may cause your watch to lose its water-resistant qualities. Using metallic tweezers increases the chance of shorting the electric components of your watch. Agustus Miller has been living and writing professionally in Brooklyn, N.Y., since 2005. He has contributed to publications such as "The Brooklyn Star" and Mountain Xpress. Miller holds a Bachelor of Arts in English literature and creative writing from the University of North Carolina.